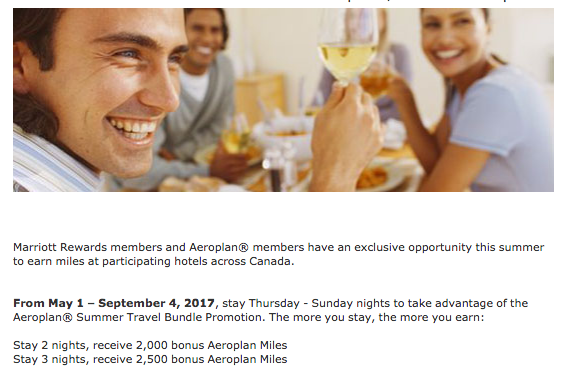 The latest Aeroplan bonus mile offer for Marriott stays in Canada is very similar to the Winter/Spring promotion that ended on April 30th. Once again if you are planning weekend stays in Canada you can look at taking them at Marriott Hotels to earn some extra Aeroplan miles. The offer differs slightly from the previous offer by requiring a minimum 2 night stay instead of 1.